On Sunday 17 September walkers gathered at Hollylee Farm to walk the Seathope Law Circuit. The walk was lead by Rob & Val as usual and Peggy & I were responsible for providing lunch in a remote, windy valley! It was a great success and enjoyed by walkers and dogs too! Back at Hollylee tea / coffee and home baking were served to the weary before they wended their ways home. 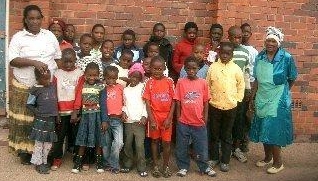 £830 was made for school fees for the Pelandaba Orphans. A huge thank you to all the organisers, walkers and those who donated soup and baking, we couldn't do it without you!